The Introduction to the DIR-FCD™ model course is a self-directed, on-line, webcast series. The program is designed to provide an overview of the DIR-FCD model including Floortime principles and strategies for parents and family members, clinicians, educators and administrators, public service providers and the general public. This webcast series is more general in focus than the Parent Education Program and Profectum Parent Toolbox. It contains a series of 15 webcasts on a well-rounded range of DIR-FCD topics, including the basics of how to use the model. This series has a lifespan perspective, and although introductory has a lot of depth! 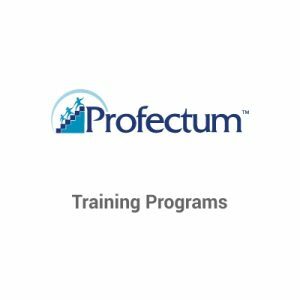 Some of the webcasts in this program have been taken from Profectum’s certificate courses and provide a glimpse into the level of training that is provided from these courses. Important topics, including general principles/strategies and the Functional Emotional Developmental Levels, are reviewed throughout many of the webcasts to facilitate an introductory understanding of the model. While the course is designed to provide knowledge of the DIR-FCD™ model, the participant will also receive practical strategies that can be applied in their work with children (or a parent with his or her child). This program is recommended as a prerequisite to Profectum’s certificate courses, but is not required. This webcast was recorded for our Parent Educational Program and provides a wonderful introduction to Profectum and the history of the DIR-FCD™ model including: Overview of autism and recent research; Discussion of affect and it’s connection to social and cognitive development; Importance of Relationship and Individual Differences considerations and how these work together; FEDLs 1-6; Discussion of DIRFloortime® activities, semi-structured activities, components of DIR® programs and considerations of combining methods. 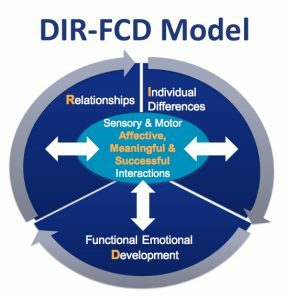 The DIR-FCD™ model provides a foundation for the developmental speech-language pathologist to uncover the essentials for communication. 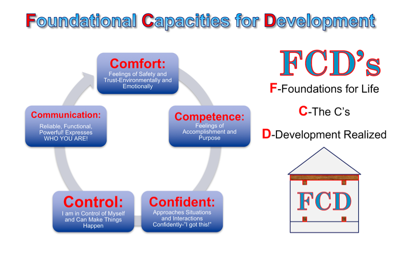 Using the Functional Emotional Developmental Capacities (FCD™) as a guide, this seminar will focus on the developmental process and the interface with communication development. Particular emphasis will be placed on identifying the importance of affect cueing, gestural communication and intentionality as important precursors to the comprehension and production of language. Video examples will provide insight into specific communication periods. This webcast will address the somewhat “hidden” but pervasive problem of comprehension challenges in children with Autism Spectrum Disorders. It will address the relationship between comprehension and production of language in both typical and atypical language acquisition. The origins of language comprehension from the early development of gestures and words in context to the decontextualized comprehension of the structures and meanings of language to the understanding of written text will be explored by telling the story of one child’s language development over a 7-year period of language intervention. The correspondence between the child’s DIR® Functional Emotional Developmental Levels and developmental language stages over the course of treatment will be reviewed and the goals and strategies of DIR®-informed language intervention at three points in the child’s treatment will be illustrated. Finally, the child’s use of unconventional forms of language, namely echolalia and scripting, seen as his “solution” to dealing with both comprehension and formulation difficulties and the shifting functions of these forms, will be a theme throughout the story. DIRFloortime® is the philosophy that characterizes all of the interactions with a child as well as the particular goals of the interaction when using the DIR-FCD™ Model. This webcast will provide principles and strategies of DIRFloortime®. Videos of children at various developmental stages with different individual profiles are presented followed by discussions by an interdisciplinary team about how to use the presented strategies to foster interactions within treatment sessions to address goals and objectives related to enhancing individual differences. This webcast offers parents an opportunity to learn the basics of Floortime as a family-life philosophy and enhance techniques which help individuals integrate his or her thinking, feelings, and communication within their bodies and between one another. It is recommended that parents watch this webcast together so that they can talk along the way about how to personalize ideas for their child (children) and family. We hope that Floortime will become a standard in your family and enhance fun, sharing and learning. This workshop introduces participants to the basics of doing DIR-FCD™ model interventions with older children, young adults and their families. Video examples will illustrate Floortime with individuals in both one-on-one and group settings. The integration of DIR-FCD™ model principles into semi-structured classroom lessons and how the model prepares adolescents for transition to adulthood will also be demonstrated. Additionally, the workshop will support an understanding of emotional and social challenges experienced by this population and developmental goals to strengthen and address them in all communities. Sample IEP goals will be provided to reflect interventions covered. Importantly, there is an emphasis on the integration of foundational levels of development while simultaneously respecting the individual’s profile, age, unique challenges, and continuing; growth towards higher levels of thinking and interacting. Every parent has hopes and dreams for their child. When a diagnosis of autism is received, parents often find these hopes and dreams shattered – yet individuals with ASD can live meaningful lives! In this presentation, Dr. Ricki Robinson will help parents and professionals use DIR-FCD™ model principles to understand and identify steps required to support a child with ASD develop the foundational capacities and skills he needs as he matures to help him realize his hopes and dreams. Inspiring cases will describe how to implement changes that will foster independence for individuals with ASD from childhood through adolescence to adulthood and how to match an educational program to meet the interests of a child with ASD to support movement up the developmental ladder. The focus of this webcast is on the co-morbid issues that many children with developmental challenges face such as anxiety, depression, communication deficits, medical complications, trauma and more. For many of these children, the lack of insight into (and tolerance for) individual differences and make-up often mask what the child is communicating through his or her actions As a result, communication is often misinterpreted as “behavior.” Testimonies from young adults with ASD allow participants to hear perspectives from inside the world of autism. Parents and family members, clinicians, educators and administrators, public service providers and the general public. This program is available for up to 1-year from the date of registration. After you complete registration and payment, login to the website, go to My Profectum and then to My Webcasts to find and watch the webcasts in this series.